Review the results of spike detection. Evaluate the detected events based on hyperclusters and the related clusters. You decide, if a hypercluster is epileptiform or not. In case of epileptiform the hypercluster is added to the spike report directly after your decision. 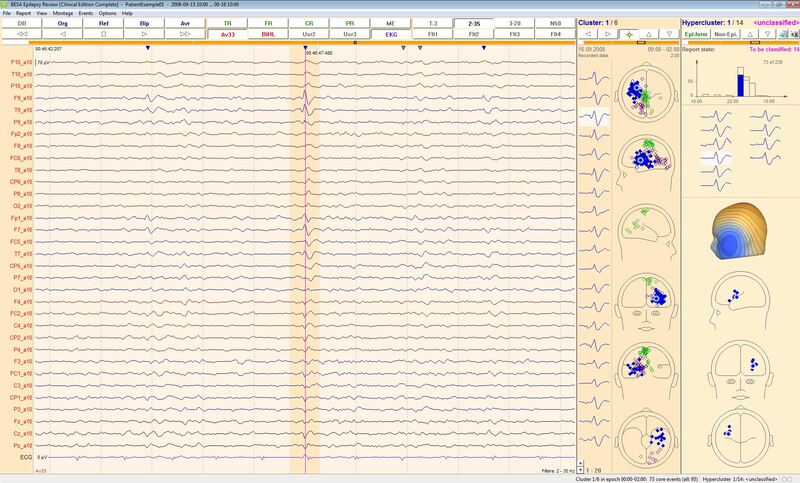 Add comments and up to three EEG screenshots to each hypercluster in the spike report. Finally print the spike report or save it as PDF.